The 20th Annual Green Chemistry & Engineering Conference was held in the eco-friendly city of Portland, Oregon, from June 14 – 16, 2016. This conference is hosted by the ACS Green Chemistry Institute (ACS GCI). This conference provides a unique atmosphere to present, discuss and learn about new ideas, innovations and initiatives related to sustainability challenges and helping chemistry move forward. The program featured 30 technical sessions, a poster session, keynotes lectures, the GC&E Student Workshop, 6th Annual ACS GCI Roundtable Poster Reception, and the Green Expo. This year’s program focused on “Advancing Sustainable Solutions by Design”. 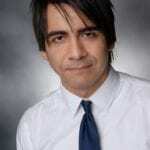 Keynote speakers included Jin-Quan Yu Professor of Chemistry at the Scripps Research Institute. In addition to Nate Lewis Professor of Chemistry, who has been on the faculty at the California Institute of Technology, along with Paul Anastas, Director of the Center for Green Chemistry and Green Engineering at Yale. 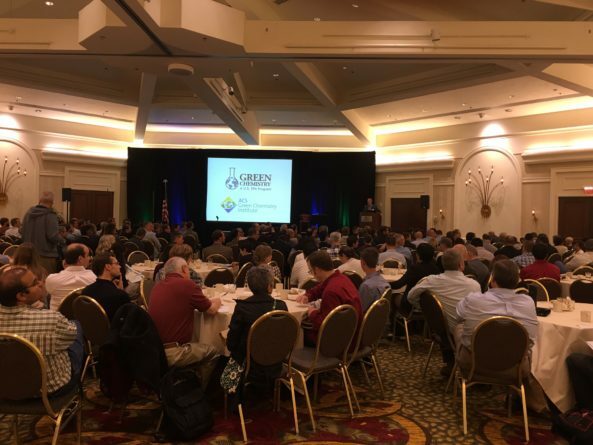 According to C&EN, attendees at the Green Chemistry & Engineering conference were informed in advance of the 2016 Presidential Green Chemistry Challenge Awards winners. This year’s winners included Albemarle, CB&I, Dow AgroSciences, Newlight Technologies, Verdezyne, and Organometallics Editor-in-Chief Paul J. Chirik. The Presidential Green Chemistry Challenge Awards was founded by the Environmental Protection Agency to help support efforts which promote chemical products and manufacturing processes that help the EPA achieve federal goals set by the provisions of the Pollution Prevention Act of 1990. ACS Publications journal, ACS Sustainable Chemistry & Engineering was a bronze level sponsor and exhibitor. The journal was on hand actively promoting author submissions for letters, articles, features and reviews that address the challenges of sustainability in the chemical enterprise and advancing principles of Green Chemistry and Green Engineering. Furthermore, the journal was seeking nominations for the inaugural ACS Sustainable Chemistry & Engineering Lectureship awards, which will recognize and honor the contributions of three early career investigators from around the world, who are doing exceptional research that impacts sustainability, green chemistry, or green engineering. During the conference, Thomson Reuters announced ACS Sustainable Chemistry & Engineering new impact Factor had risen to 5.267, an increase of 13.5% since last year. 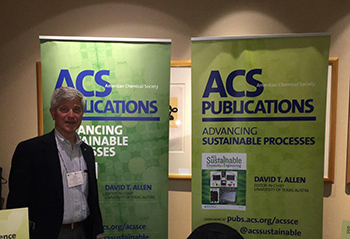 Both the Editor-in-Chief of ACS Sustainable Chemistry & Engineering, Dr. David Allen and ACS Executive Director & CEO, Dr. Thomas Connelly were both in attendance showing their support at the conference as well. Next year, the 21st Annual GC&E will be held in Reston, Virginia between June 13-15.